It’s the art of selling without really selling! This sounds like a paradox, but really, it’s a shift in the way you do your business. Marketing legend, Peter Drucker, said that the purpose of marketing was to ‘make selling superfluous.’ By focusing on providing value, rather than trying to constantly pitch your product and services, you’ll find that the selling process has become effortless. One of the ways to do this is by having a solid content marketing strategy, which should really form the backbone of your entire marketing process. But how do you ensure this is effective and more importantly, targeted to your prospects? What do your ideal customers worry about that your products or services could fix? Brainstorm ‘hot buttons’ or the things that would make your prospects want to say “yes” to you and therefore buy from you. Speak directly to their needs and wants on a level that truly resonates with them. Keep content interesting and varied by doing something different – think tips and tricks lists, interactive podcasts and video chats, step-by-step checklists, compelling articles, diagnostic tools for analysis, tools to make process streamlined, ebooks or PDF downloads, video tutorials, product reviews etc. Find what your strengths are and focus on amplifying them. You should ideally be releasing quality content once a week (depending on the size of your audience) – but if that’s too much, create a bi-monthly newsletter and ensure it goes out like clockwork. Planning your content will make the process easier. You can do this by searching through articles online and from your competition in order to gather what the most common topics are. You can also utilize social organizers to ensure your content is being scheduled and delivered at the exact intended times. Regular postings and newsletters are a great way to establish your business as an authority in your industry, attract more customers and make more sales. Your audience will learn to wait in anticipation of your next article or free download. Conduct regular surveys using free tools such as www.SurveyMonkey.com in order to find out what your prospects want to know more about. Since you’ll then know what content will be best received by your specific audience, you can then provide freebies and more education around these topics. Marketer, Gary Vaynerchuk, says that your strategy ought to be “Give, Give, Give, then hit them with the ask, the Right Hook.” Whether engaging on social media, through email campaigns, or through articles on your blog, Gary suggests to provide value by giving. Give so much that when you finally hit them with the ask, they can’t help but say yes because they’ve found so much value already. The opposite strategy is something that marketers do all too often. They’ll pitch their products, their services, their promotions, then, maybe once in a while, they’ll give a free demo or something small. If you are intentional when providing value, it will end up rewarding you when you are finally intentional about the ask. Also, be sure not to shy away from asking. When you pitch the product, you better make it very obvious that you are asking for a very specific CTA or call-to-action. This way, you won’t come across as confusing or passive. Having a WordPress blog as part of your website will make it even easier to ensure your content not only informs, but also gives visitors to your site a chance to see what you have to offer. This effortless sales strategy must be embraced as a core practice. Only then will the process seem simple and the value communicated clearly. 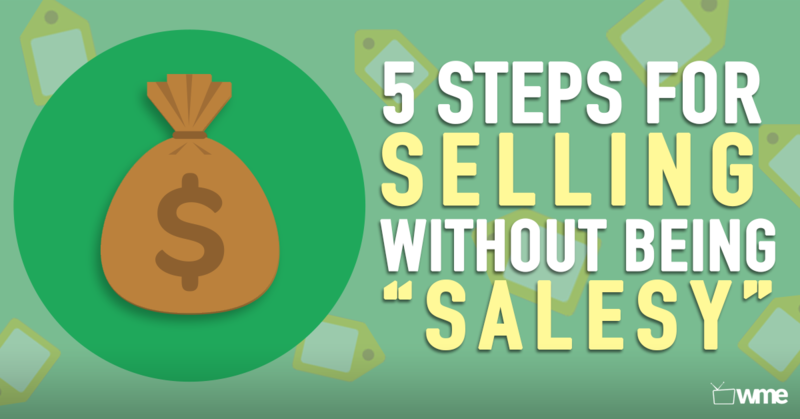 Follow these 5 tips and you’ll be selling in no time. And if you loved these tips, but don’t know where to get expert hands-on advice? You’ve got to check out all of our video tutorials, tips and tricks, and best tools and practices guides over at WebsitesMadeEasy.tv. Here, you’ll be able to effortlessly build a more profitable business for next to nothing. You’ll be able to connect your business or your brand to the world. And the best part? It doesn’t have to be hard or confusing anymore. 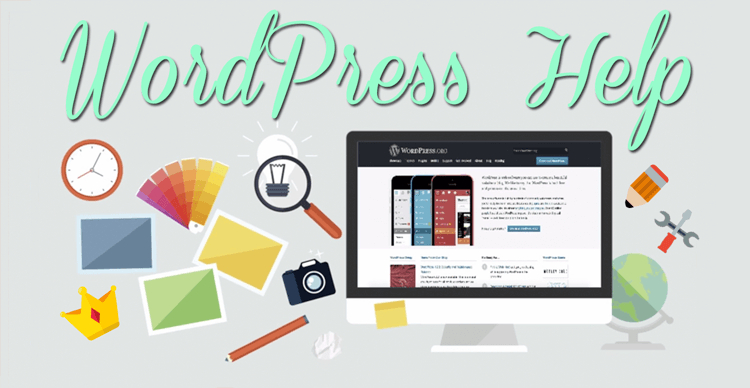 WordPress Introduction: Create A Killer WordPress Website!